Welcome to my website. Here you can check my upcoming events, music, videos and more! Argie Gudo is a singer, songwriter, composer and guitarist. He was born in Greece, but is based in London, UK. He began writing music at a young age and performed in various music venues as a solo act and with a band as well. Argie Gudo has written a considerable number of songs including both lyric and guitar instrumental songs. 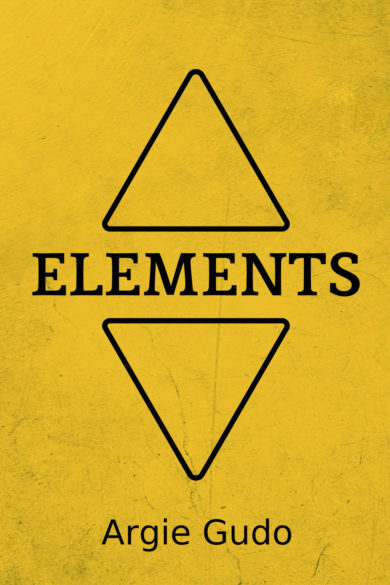 On the 14th of May 2018 he released his new album "Elements". You can buy it here. Worth noting, Argie is a graduate of Social Administration department, social worker, of the Democritus University of Thrace. My new album "ELEMENTS" is released! You can buy the whole album below. Or you can buy single tracks and check out some samples here. Here you can find my upcoming events & gigs. New events coming soon! Here you can find samples of my music. Follow me on Soundcloud for more! Check out my Youtube Channel, where you can find my music, video clips, covers and more! Listen to ''All Over Again'', from my new album 'ELEMENTS'. Listen to ''Take It or Leave It'', from my new album 'ELEMENTS'. This live is from the 2nd semifinal of Global Battle Of The Bands held at the Eightball - Thessaloniki. Thank you "Local Stage Live" for the video shooting. If you'd like to get in touch, please send me an e-mail, and if you'd like to check my updates, follow me on social media.